Welcome to eZee Insider, keeping you up to date with what’s happening in eZee. In this edition, eZeeTechnosys.com now available in global languages, eZee launches GST equipped solutions for hospitality industry in Malaysia, eZee Reservation gets new dashboard for chain hotels and much more. India Infoline Limited (IIFL), is one of India’s leading financial services company with a diversified business model that also provide research on the Indian economy, businesses and corporate.One of IIFL’s representative, Sudhir Raikar recently conducted a question and answer session with eZee’s CEO, Hitesh Patel and CTO, Vipul Kapoor. During the interview, co-founders discussed about how eZee came into being and where they like to see the company few years down the line. The interview further touched upon various challenges in the industry today, how eZee has been able to navigate through them and what the future holds. eZee announces the launch of eZeeTechnosys.com in three global languages - Spanish, Arabic and Bahasa Indonesia. The new websites have been developed using widely accepted dialects of the respective regions to provide the readers a thorough understanding of eZee. Furthermore, with access to all products descriptions in their regional languages, readers will be able to easily grasp of all the features and benefits offered with eZee products. Over the years, eZee has built a strong presence in over 140 countries and with the release of the new language websites, we aspire to enhance the global reach of brand eZee. April 1st 2015, marked the beginning of (GST) Goods and Service Tax system in Malaysia. Exclusive to the hospitality industry, eZee introduced GST complaint eZee FrontDesk hotel PMS and eZee BurrP! restaurant POS. GST is a tax on the business transactions and is rated at 6% of every sale, purchase and expense for properties in Malaysia. As the new taxing order requires hotels and restaurants to submit GST returns on regular basis, it is essential or property owners to use a GST equipped Software. eZee solutions are GST ready and will accurately calculate GST rate for Receipts/Folio, Tax Invoice and GAF (Audit Reports) and assimilate these calculations in generating reports. Furthermore, the software will generate GST reports and audit files that match the accounting system to easily evaluate the business and save time. In 2014, the government of Malaysia professed an ambitious plan to introduce Goods and Service Tax in the country, effective from April 1st 2015. Since the declaration, the team of eZee has been in force trying to fully comprehend the dynamics of the new tax structure on hospitality industry in Malaysia. 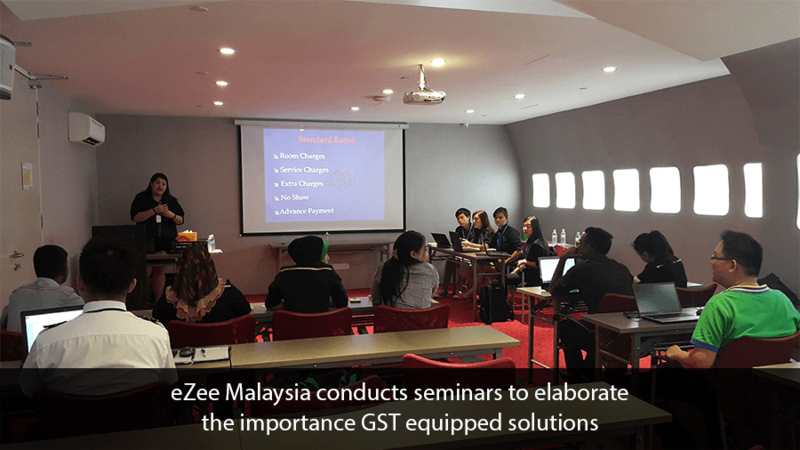 In the meanwhile, the eZee team in Malaysia conducted seminars on 27th and 28th March 2015 to elaborate the importance of implementing a GST equipped software at the hotel premises. The success of the workshop resulted in several hotels preparing in advance for the upcoming taxing order and implementing eZee’s GST equipped solutions to ensure the accuracy of their transactions. We are GST ready, are you? 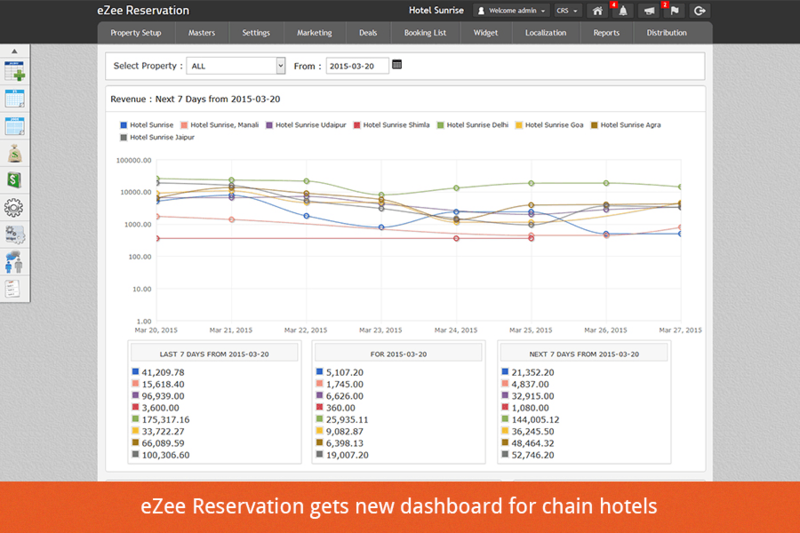 eZee is thrilled to introduce a new CRS dashboard for eZee Reservation. The distinctive Central Reservation System (CRS) has been developed specifically to aid hoteliers to manage multiple properties. The new dashboard will provide complete activity view for all the properties instead of one property at a time. Additionally, it will provide graphical reports of revenue generated along with comparative analysis of bookings coming from OTA channel partners and view statistic of reservations and room availability from the main dashboard. eZee Centrix, online channel manager completed integration with Gomio.com, one of the most prominent online hostel booking portal for backpackers and budget travelers.As a result of the new collaboration, hostel owners and budget accommodation providers who are linked with eZee will be able to enjoy 2-way XML connectivity and easily manage Availability, Inventory, and Rates across the channel in real time. The robust connection and seamless flow of data will further enhance guest experience and provide higher contingency for booking conversion. Furthermore, the prospering platform of Gomio.com will give hostel owners a great opportunity to expand their online presence and manage the inventory accurately. 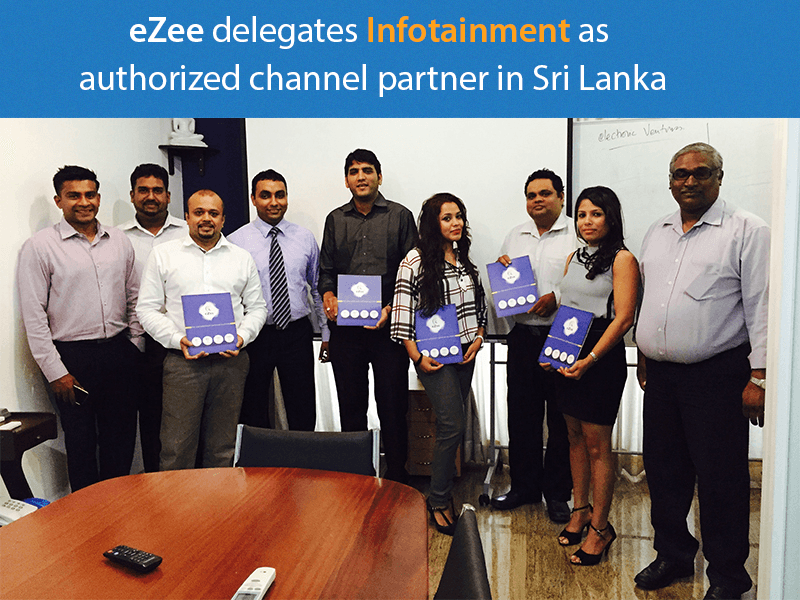 eZee is glad to endorse Infotainment as authorized distributor of eZee products in Sri Lanka. One of the most dynamic and leading media solutions provider in the country, Infotainment encourage their clients to adapt to digital technology and be a step ahead of the crowd. As a result of the new partnership with eZee, Infotainment will be able marketing eZee’s cutting edge solutions in the nation. eZee looks forward to have a long and fruitful relation with Infotainment and flourish the brand name of eZee in Sri Lanka. The Ghana based, Oak Plaza Hotel has chosen eZee as their complete hospitality solutions provider. The Oak Plaza hotel currently possess two properties, at East Airport and East Legion, both are now using eZee FronDesk to help them manage every aspect of property management. 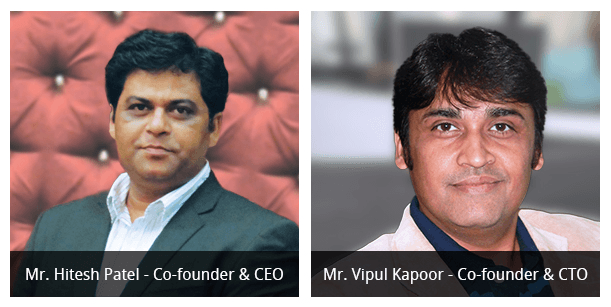 Furthermore, the seamless connectivity of the PMS with eZee Reservation - online booking engine and eZee Centrix - online channel manager will ensure that hotel faces minimal issue of over booking and increase revenue by enhancing hotel’s online presence. Additionally, both the properties have implemented eZee BurrP! as the point of sale system for their in house restaurants. One of eZee’s software support executive personally visited both the properties to carry out the implementation process and training. eZee looks forward to build a long term relation the Oak Plaza Hotels. Depicting the majestic Mughal era in capital of Oman, the Mumtaz Mahal restaurant is a culinary landmark serving authentic Mughlai and other delights of North Indian cuisine. The fine dining restaurant has implemented eZee BurrP! as their restaurant point of sale. The robust features of eZee BurrP! will facilitate the restaurant to operate adroitly and aid them in refining their customer service. 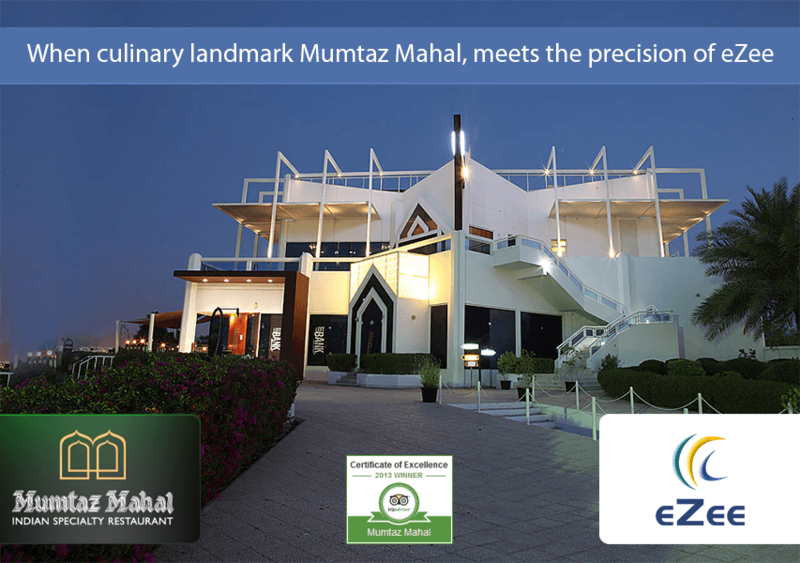 eZee will be providing 24x7 online support to the personnel at Mumtaz Mahal. Furthermore, one of eZee’s software support executive flew to Muscat and provided the on site implementation and training to the staff. eZee is delighted to announce that, eZee will be providing complete IT solution to The Samilton Hotel. Located in Kolkata, The Samilton is one of the most preferred choice of stay for celebrities, corporate a tourists visiting the city. As a part of complete solutions, eZee FrontDesk - the desktop hotel management system has been implemented at The Samilton Hotel. Apart from that, the hotel has also incorporated eZee Centrix and eZee Reservation to manage their online inventory and distribution. Additionally, the 3 start property has five restaurant outlets, all of which are now using eZee BurrP! as their restaurant POS. Furthermore, all of these solutions are seamlessly integrated with each other to meet all the requirements of hotel operations and will lead to useful mean to streamline hotel operations and increase revenue.